Home > Information for Parents, Carers & The Community > What is child abuse? The internet offers lots of opportunities and benefits for children and young people providing a place to learn and share. It can also pose a number of risks. Children may see content that’s not suitable for their age, whether this is accidental or because they’re curious and they may also share more information than they realise. They could be targeted by bullies or abusers. Talking to children is one of the best ways to keep them safe. You can also use parental controls on social networks, online games and browsers and on both hardware and software that can filter or monitor what children can see. Visit the NSPCC website for more information on Online safety. There are a range of websites offering advice and information for parents and below are some suggested sites to visit. The NSPCC have joined forces with O2 to help parents explore and understand online life as kids know it. For more information click on the picture below. Some advice for parents trying to stay switched-on to their children’s online safety. Please click on the picture below to pick up some expert, up-to-the-minute advice. CEOP is a command of the National Crime Agency, and is dedicated to tackling the sexual abuse and exploitation of children and young people. For information and advice, and to report concerns directly to CEOP click on the report button below. The Internet Watch Foundation is the UK internet Hotline for anyone to report their inadvertent exposure to online child sexual abuse content hosted anywhere in the world. For more information or to report a website click on the picture below. 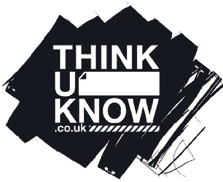 Click on the picture below to go to the Parent/Carer section of the ThinkUKnow website. Whether you’re puzzled by parental controls or would like to know more about gaming, website can help. We all know that it can sometimes be challenging to keep up to speed with what children and young people are doing online. Click on the picture below to go to the Parent/Carer section of the Childnet website.